WOULD YOU LEAVE YOUR CHILD IN THE OVEN? STOP LEAVING YOUR CHILDREN IN THE CAR! SLOW DOWN. Nothing is that important to leave your baby/child in the car. 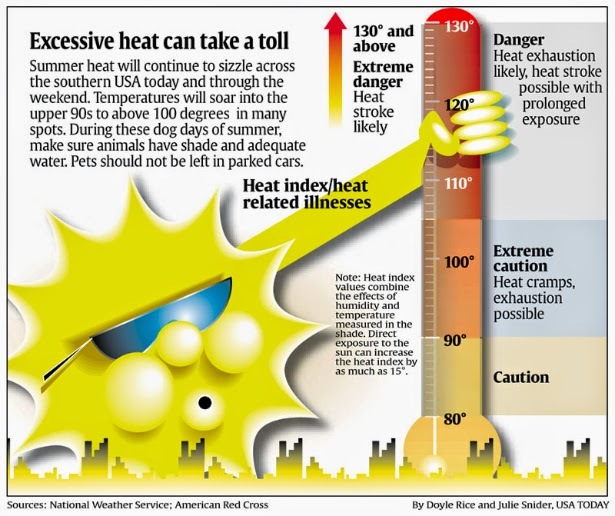 In some places, the heat index can reach up to 120 degrees. It takes only TEN minutes for a car to reach dangerous temperatures. 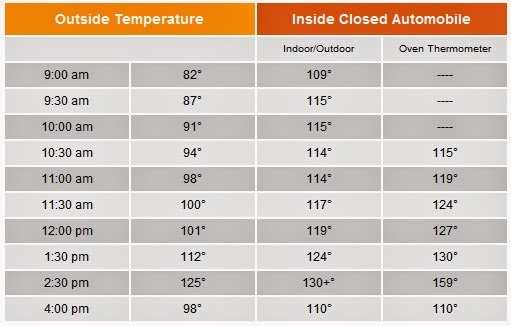 Even in the morning, the temperature in a car can reach 109 degrees. During the hottest hours of the day, between 12 pm and 3 pm, temperatures can rise up to 130 degrees. Check out this chart below. Many people think leaving your child in the car for a few minutes will not harm them. However, depending on the age, a child can experience extreme fatigue to death from a heat stroke in a matter of minutes. If you do not know what temperature will create a danger for your child, please take a moment to review the illustration below. Notice even sitting in a car during 80 degree weather can be dangerous. It was summer. I was around seven years old, I remember the phone ringing and my mom answered the phone. "Hello?" mom said. "Nooooo! How did that happen?" she continued. 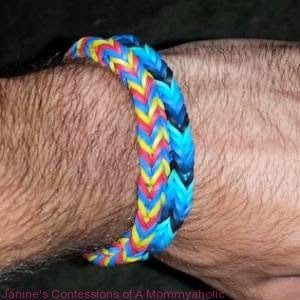 "Oh my God, Diane. This is terrible. He started vomiting? He passed out?! They said it was too late!? I'm sorry to hear that." My aunt's bestfriend's husband died of a heat stroke. He was cutting the grass, on a riding lawnmower, in the middle of the day. I often wonder from time to time, "If he had known the signs of a heat stroke, would he have died?" 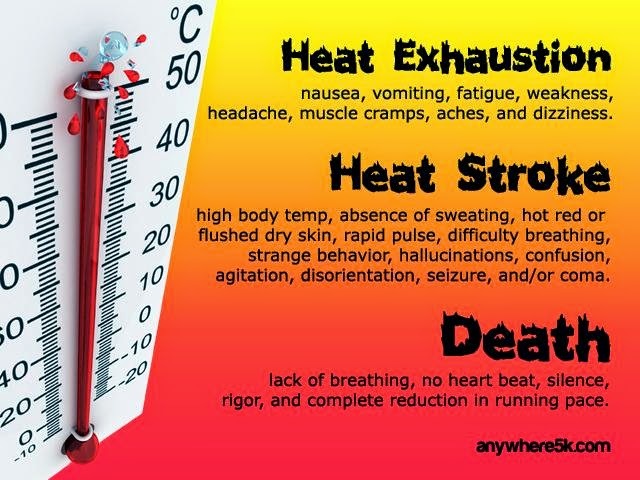 Do you know the symptoms of a heat stroke? 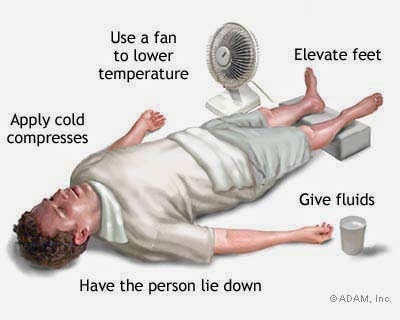 Do you know what to do if some is in danger of dying from a heat stroke? If not, please take a moment to review the information below. CALL 911!!!! 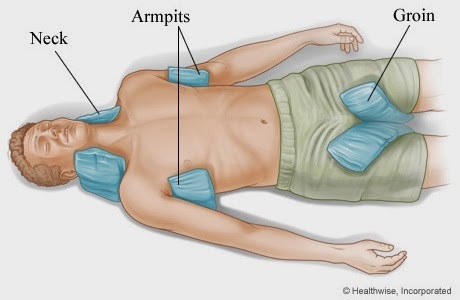 If an icebath is not available, place cool, wet towels or ice packs in these areas. I hope Talk about it Tuesday gave you more insight into a common practice that can turn deadly, extremely fast! Just in case you are a forgetful or busy too busy to remember your child, try this. 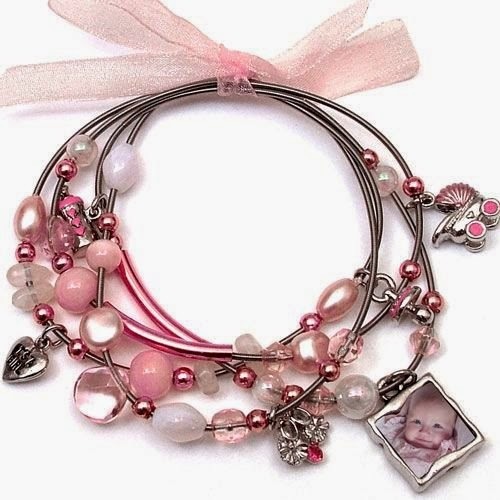 Purchase a memory bracelet and place it on your wrist. That way, we will never lose another child! I am simply amazed. You know I love anything that varies from the norm. Music education in schools matters and Dame is a perfect example of the tremendous impact of that education. 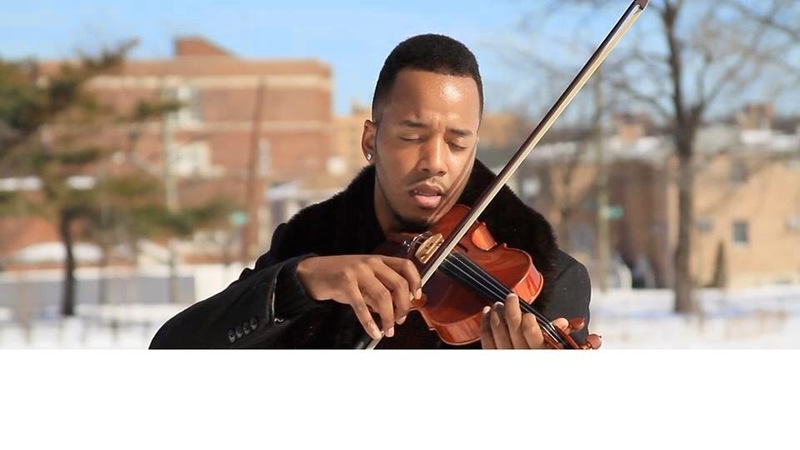 This morning, I ran across Dame Escobar and he trapped me in an hypnotic glaze with the strokes of his violin. At only 27 years old, he has snagged an Emmy, twice. 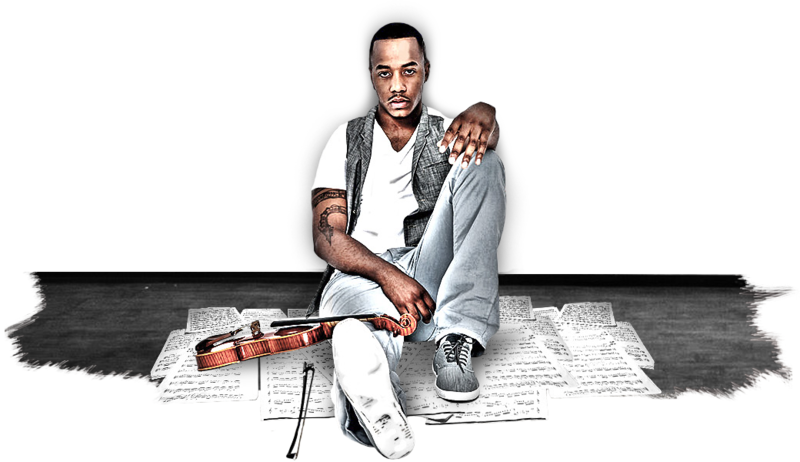 His R&B mixtape, Sensual Melodies, has scored over 200,000 downloads since its release. He is definitely making his presence know to everyone. This Jamaica Queens musician released a new single entitled,"Freedom". It's an uptempo, passionate song that makes you want to get up and dance! Its currently available on ITunes. Peep the video below. 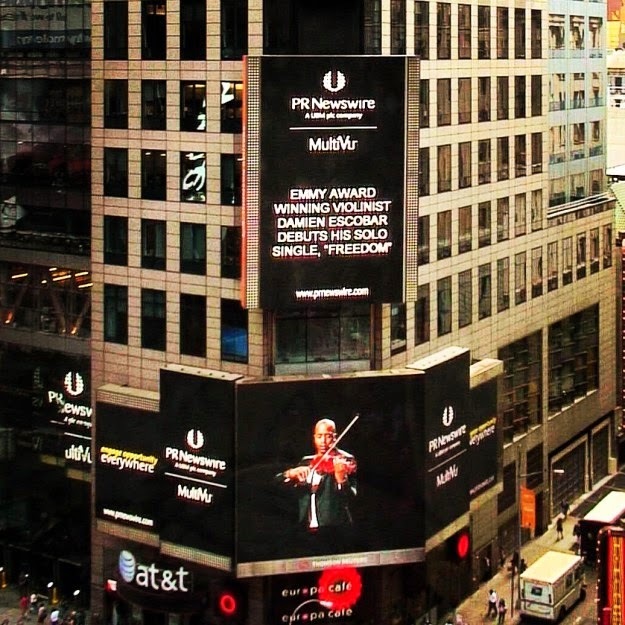 Dame Escobar featured on a NYC Time Square Billboard this past June.